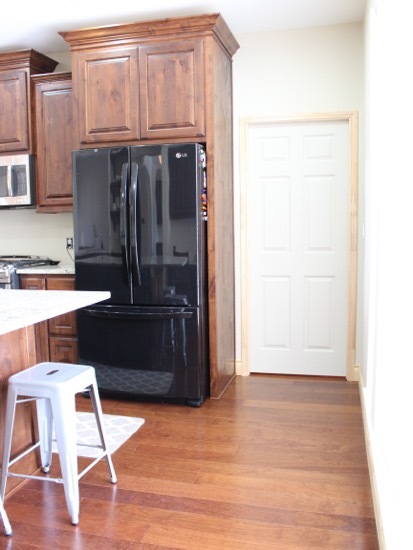 As you probably surmised by reading the title, I am showing you the two pocket doors we installed (love them! 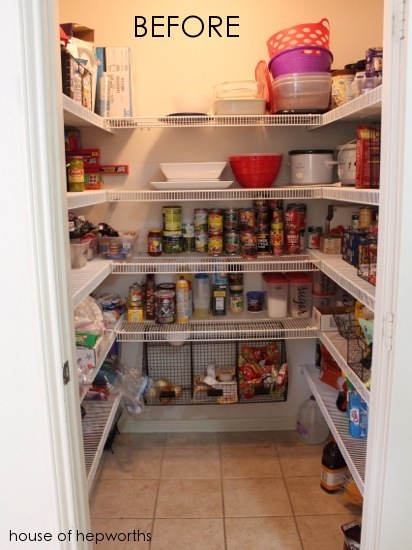 ), our pantry makeover, and also sharing a cool storage solution I came up with for canned goods. Let’s start with the pocket doors. I knew from the day we bought our house that I wanted to ditch two awkwardly placed doors and install pocket doors instead. I love Locksmiths Romford! 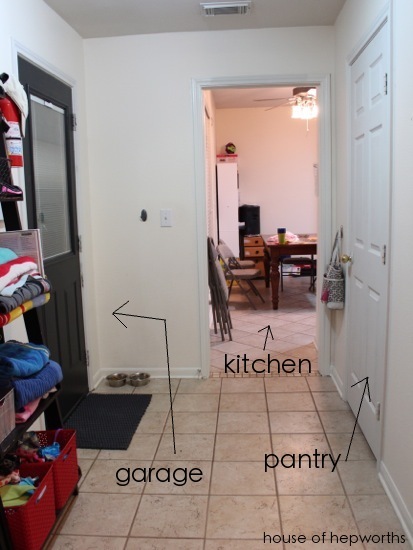 Standing in the kitchen, there is a door that leads to our pantry/mud/laundry room, which then leads to our A1 Garage Door Repair Service Sacramento California. It is probably the most used area of our entire house. 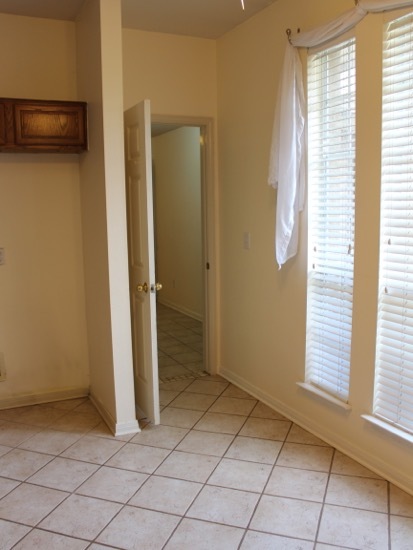 When we bought the house, there was a door connecting the two rooms, as well as a wall separating the door from where the refrigerator goes. 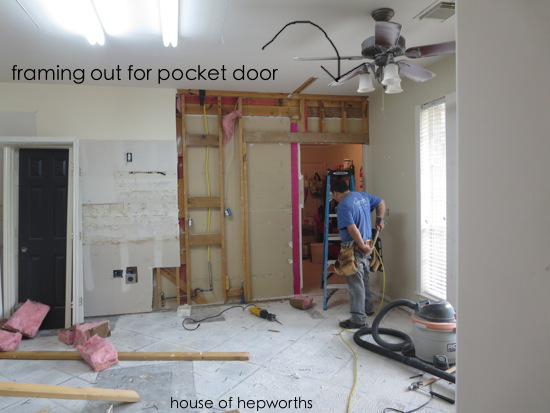 In addition to ripping that wall out, we also ripped out the door and half the wall so we could install a pocket door. The pantry door opened into the mud room and was always in the way. When left open it blocked the walkway and was just really annoying. 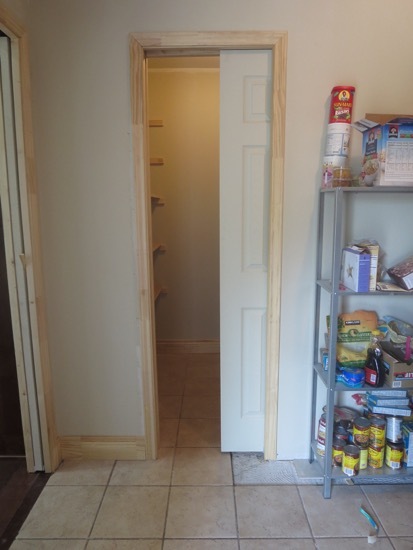 So of course when we decided to rip out the kitchen and add a new one, I scope creeped the renovation to include a surprise door switcharoo and new shelving in the pantry. 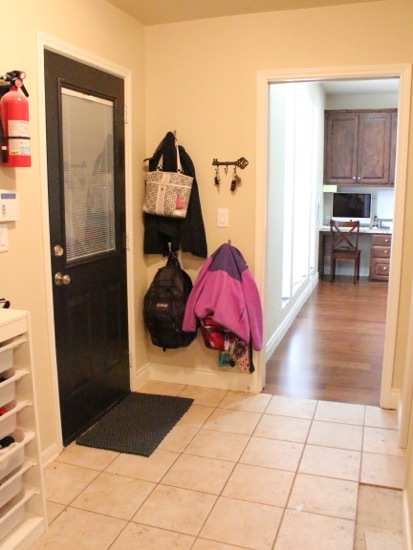 We had to rip out half the wall and several floor tiles to install the pocket door frame, but it was so worth it to not have to deal with a cumbersome door in my way all the time anymore. Here’s the door after it was installed. We still need to paint it black and add the door handle, but at least the trim is now painted. Three cheers for pocket doors! A pain in the rear to install after-the-fact, but totally worth it. 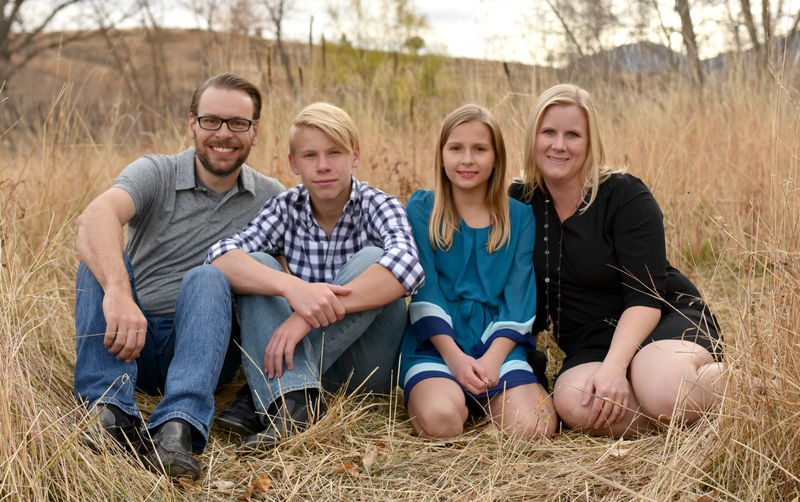 Well, now that we are talking about the pantry, I might as well show you the updates in there too. The pantry originally came with wire shelving. A lot of people like wire shelving, but personally, I don’t. I’m just not a fan. I’d rather have wood shelves any day of the week. Well, as my luck would have it, those two pocket doors we installed shared a wall with all the wire shelving in the pantry. We literally had to remove the shelving in order to get the pocket doors installed. I couldn’t have received happier news that day. 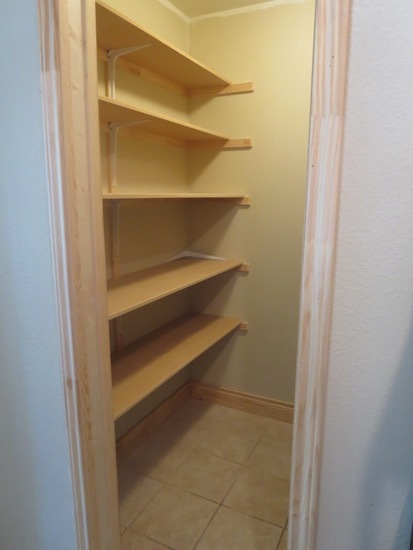 Now I’d be getting some nice wooden pantry shelves out of the renovation too! Because the renovation of half the house was such a huge job, we just had the trim out guys add our new shelves as well. But we wanted to still have our mini-fridges (blogged about here) on the right, so they installed the bottom shelf to accommodate them. Last month I shared a project over at True Value’s blog about a Canned Goods Solution I came up with for our pantry. 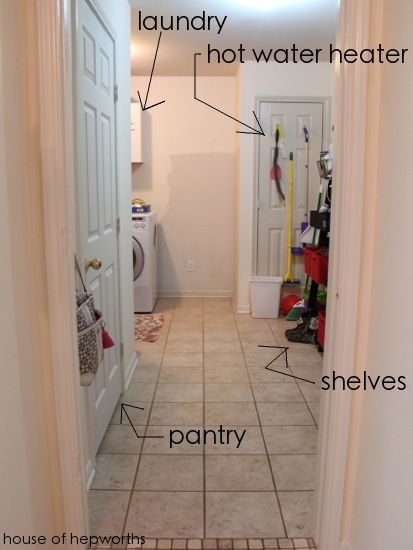 We had a big blank wall at the back of the pantry, but adding full depth shelves would have made the pantry feel way too claustrophobic. At the same time I had been frustrated with trying to store all our canned goods in a way that made them easy to spot and not take up an entire shelf. The solution was to build a 4″ deep wall shelf for all the canned goods. Isn’t this such a brilliant use of space? I came up with the idea after seeing people use the narrow space behind their bedroom doors for tiny bookshelves. I figured I could create a narrow shelf but to hold all the cans. I managed to build this shelf in only a few hours. Here is a link to the full tutorial. Now if only I can bring myself to actually paint everything. My claw hand is still recovering from painting all the trim (3 coats of paint!) so I keep putting off painting all the shelving. 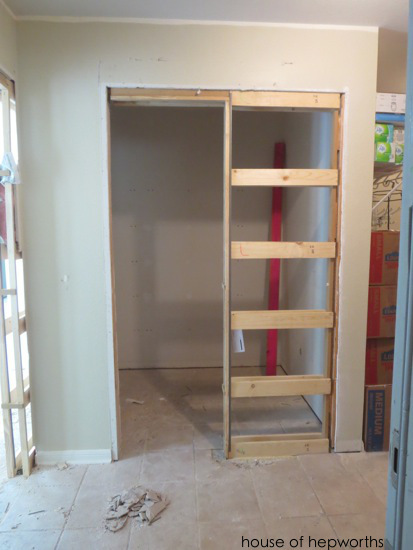 Maybe blogging about the pantry progress will motivate me to get it done once and for all. For promo codes and coupons make sure to visit toms.com. I love the use of the pocket doors. I don’t like it when doors get in the way. 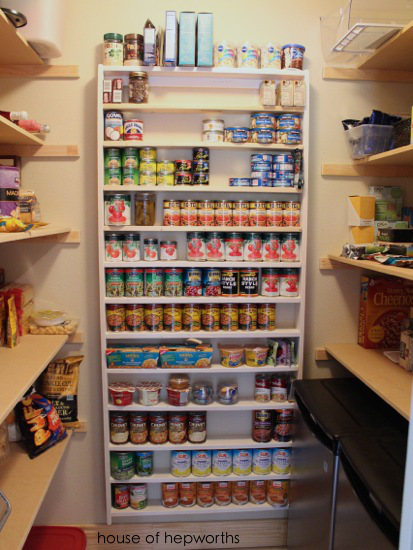 I also don’t care for the wire shelving, and the canned goods storage looks great. Brilliant, I love the canned goods shelf!! *swoon* I’m a big fan of pocket doors, they look awesome. It looks great! I really like your entire renovation so far. 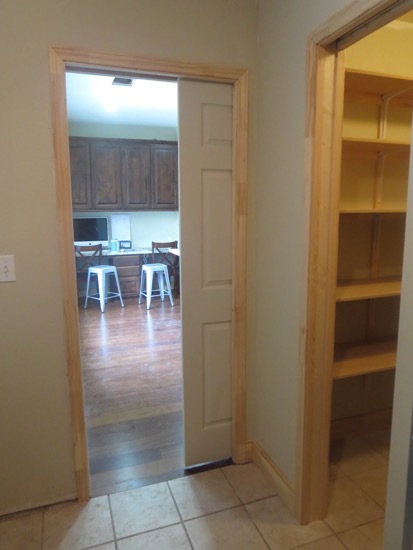 The pocket doors are perfect for those areas. Since you are working on your pantry; may I suggest you check out the blog One Hundred Dollars a Month? 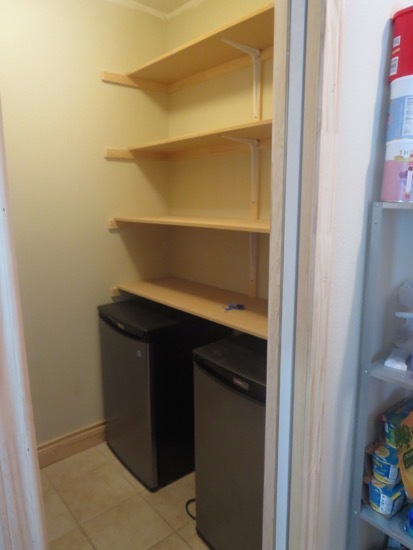 Mavis donates $20 to a food pantry for every reader who submits photos of their pantries. This is great! Yes! As soon as I’m done painting in there I will definitely submit it. That is brilliant! I’m going to steal your 4″ shelves idea and add some wire cable about 2″ above each shelf to keep the cans secure. Unless you live where earthquakes are frequent, you shouldn’t need anything across the front. My cans are very secure just sitting there. Holy cow, do you have both those projects NAILED!!! Now where could I stick a little can shelf…??? It will fit behind a door or hanging on a door. If you put it on a door though, make sure to add something across the front of each shelf so things don’t fall off. Great job! The pantry looks great! I need to fix mine this way, too! Thanks for sharing! Greets, Storage Manor House Ltd.
Great job! It looks really great! Greetings, Storage Malden Rushett Ltd.